HARLEM WEEK according to its website: promotes and celebrates what Harlem was, is and will be! HARLEM WEEK is a series of events throughout the summer, that bring together all age groups and cultures to celebrate the unique and diverse essence of Harlem. This celebration of Harlem offers over 100 events throughout the months of July and August, attracting approximately 2 million attendees from all over New York and the world. 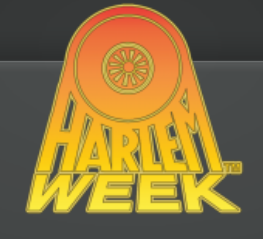 HARLEM WEEK began in 1974 as HARLEM DAY, a day of encouragement and fellowship in Harlem for New Yorkers. Given the huge success of the celebration, more days were added to showcase the community’s rich economic, political and cultural history. Now in its 39th year, HARLEM WEEK offers over 100 events throughout the summer to over 2 million attendees from all over New York and the world. HARLEM WEEK, Inc. is a not-for-profit 501(c)(3) corporation that fosters continued growth and development of Harlem, one of the world’s best-known neighborhoods. HARLEM WEEK, Inc. highlights Harlem’s assets and unique flavor. Now in its 38th year, HARLEM WEEK continues to promote Harlem’s rich African American, Hispanic, Caribbean and European history, culture, arts, religion, entertainment and sports.